Asserting a role in God's plan, black Protestants sought to root their people in both sacred and secular time. A remarkable array of chroniclers--men and women, clergy, journalists, shoemakers, teachers, southerners and northerners--shared a belief that narrating a usable past offered hope, pride, and the promise of a better future. Combining Christian faith, American patriotism, and racial lineage to create a coherent sense of community, they linked past to present, Africa to America, and the Bible to classical literature. From collected shards of memory and emerging intellectual tools, African Americans fashioned stories that helped to restore meaning and purpose to their lives in the face of relentless oppression. 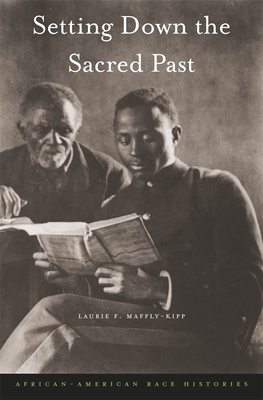 In a pioneering work of research and discovery, Maffly-Kipp shows how blacks overcame the accusation that they had no history worth remembering. African American communal histories imagined a rich collective past in order to establish the claim to a rightful and respected place in the American present. Through the transformative power of storytelling, these men and women led their people--and indeed, all Americans--into a more profound understanding of their interconnectedness and their prospects for a common future.